Boil water + brew tea bags. Let steep a minimum of 3-5 minutes. Removetea bags and squeeze our all the minty goodness. Allow tea to cool a bit. And tea and ice to the shaker bottle. Shake and shake until ice is melted.There will be frothy foam on top. Add heaping scoop of protein powderthen shake and shake until well blended. Allow to rest for 3 minutes then shake and shake again. Pour into a lovelyglass and enjoy! 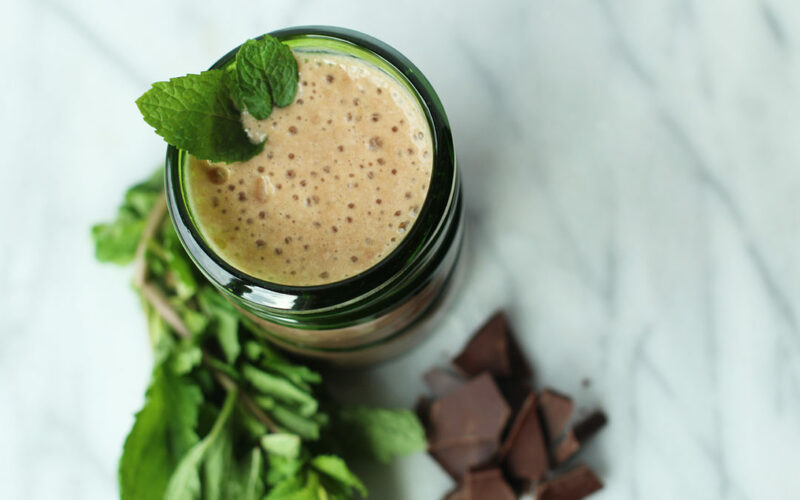 Alteration: Use a blender to blend ice, brewed tea, and protein powder for a cool + refreshing minty-chocolate slushy. Yummo!